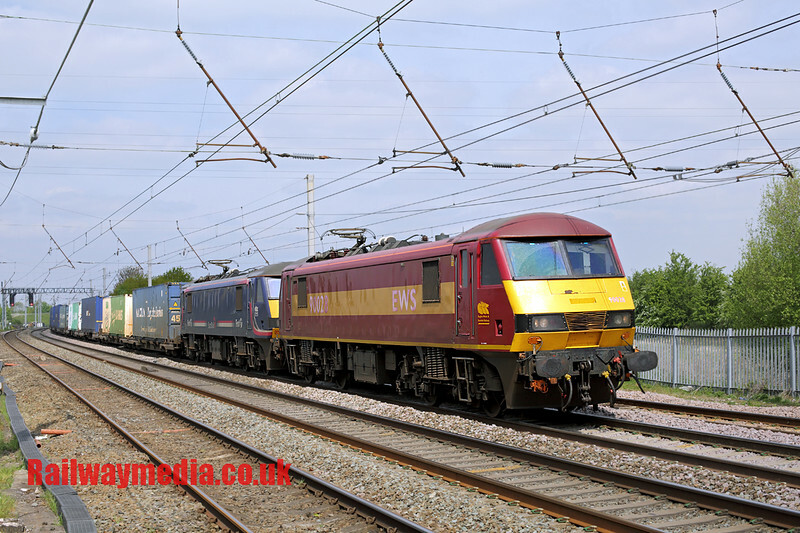 Welcome to edition 68 of the Railwaymedia blog. It was exactly two months ago since edition 67 appeared covering my trip to the Czech Republic; a forthcoming trip next week to Germany and Denmark made me realise I'd forgotten to write one in the meantime, so here it is. Looking back at the trips I have made since the last blog, I think the reason I have neglected until now to pen (can you use the verb 'to pen' for something written on a computer?) 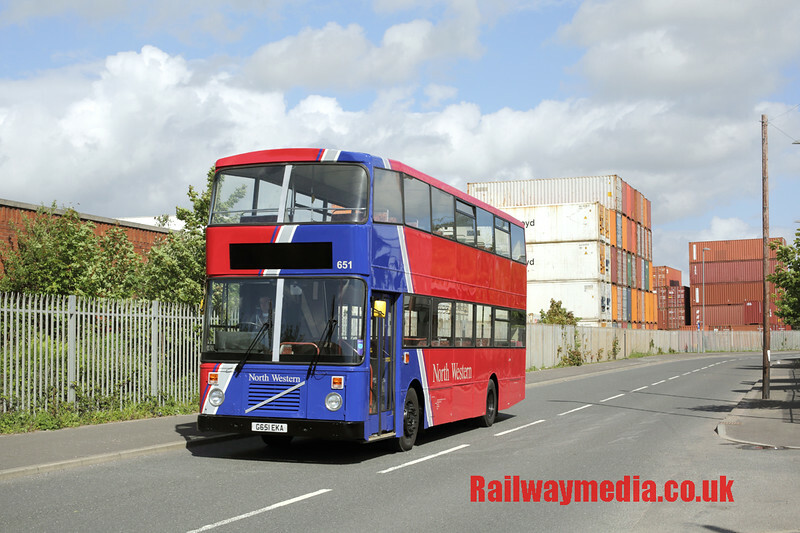 this edition of my ramblings is because I have always tried to keep my blog mainly relevant to the railway side of my photography, only mentioning the increasingly frequent bus trips in passing. The last two months have mainly been bus orientated though with a few significant exceptions. Launching straight in with a picture of a bus simply because the first two trips of May were virtually entirely bus focussed. The first one was ostensibly to mop up some Wetherspoon branches I hadn't previously visited in the Central Belt of Scotland, wonderful places like Falkirk, Grangemouth, Stirling and Alloa. The latter was useful as I also hadn't previously travelled over the railway line to there that reopened several years ago. Any non low-floor bus is quite rare now so shots like that above of a First Group Olympian leaving Stirling Bus Station are worth having. My next photographic expedition was once again principally road based, a few beers enroute from Warrington to Southport, though I did stop off at Winwick Junction for a picture of 4M25 which runs daily from Mossend to Daventry and for a few months now has been hauled by pairs of class 90s displaced from Sleeper duties. It's not ideal for the light as it passes through the North West around lunch time when the sun is generally head-on. The return working is at night. The awarding of the Scotrail franchise to Abellio was 'celebrated' by the company by offering free tickets online. I used this as an excuse to visit Stranraer, one of the longest sections of line I had never travelled on with the exception of the Highland routes. Out via Glasgow and back via Kilmarnock it was a pleasant day, the line from Ayr south is very scenic and an enjoyable ride on the class 156s that usually ply their trade on the route. 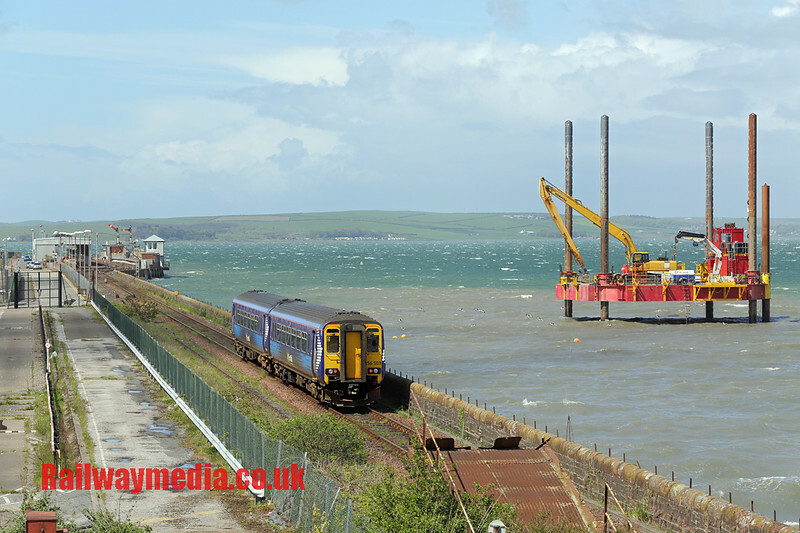 Stranraer Harbour station is a shadow of its former self, once a Motorail terminal for cars heading to Northern Ireland even the ferries have now gone as they now operate from a new harbour at Cairnryan further down on the other side of the Loch. 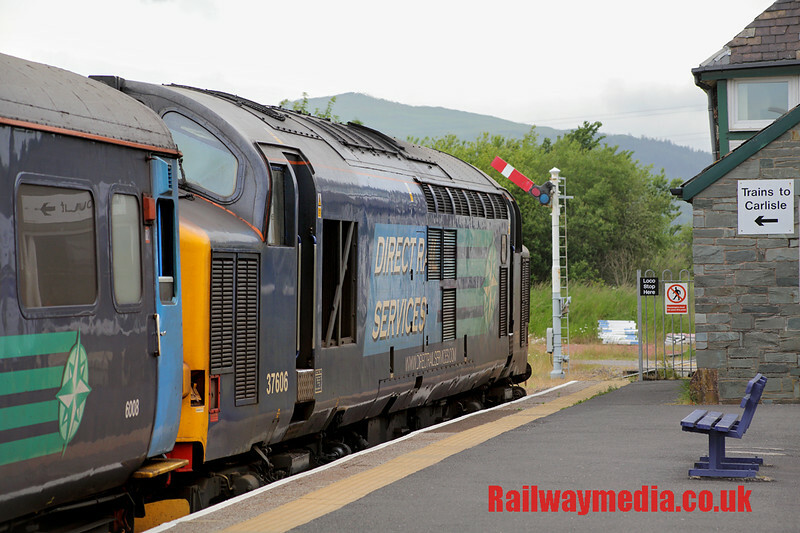 The rest of May involved a few bus photographing outings plus a quick visit to Grange-over-Sands for my first photo of the Northern Rail loco hauled trains run by DRS on the Cumbrian Coast. More about these later. The 31st of May was the North West Vehicle Restoration Trust's running day from their base at Kirkby. 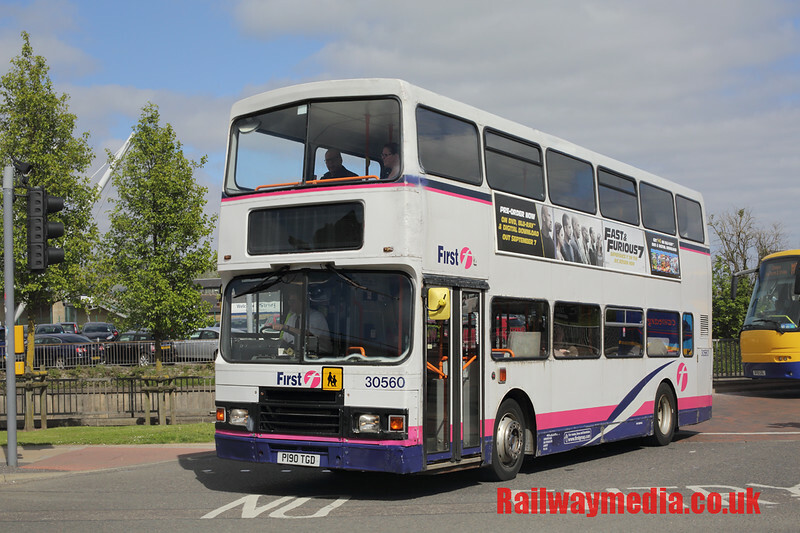 Lots of buses provided free rides to Liverpool, Prescot and the surrounding area. Most vehicles were of a North West origin but there were plenty of visiting buses from other areas. Sunday 12th July is the running day of the other local group the Merseyside Transport Trust based at Burscough. I've covered their days before and they are well worth visiting if you can. 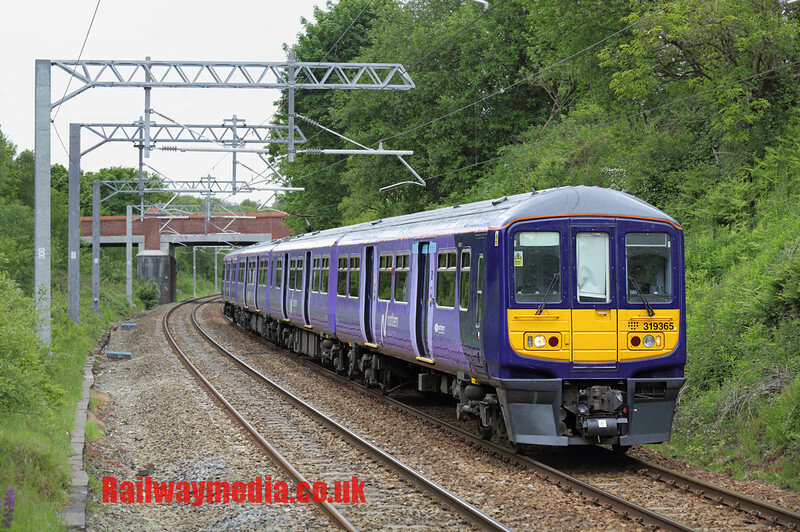 Besides the Cumbrian 37s perhaps the other big passenger train development locally was the introduction into wide-scale service of the former Thameslink Class 319 EMUs onto Liverpool to Wigan and Manchester trains. Since the wires were energised between Edge Hill and Earlestown there had only been two diagrams on the Liverpool to Manchester Airport service but from May the half hourly Wigan all stations trains and the Liverpool to Manchester Victoria services went over to 100% Class 319 operation on weekdays. here 319365 arrives at Garswood heading for Wigan. 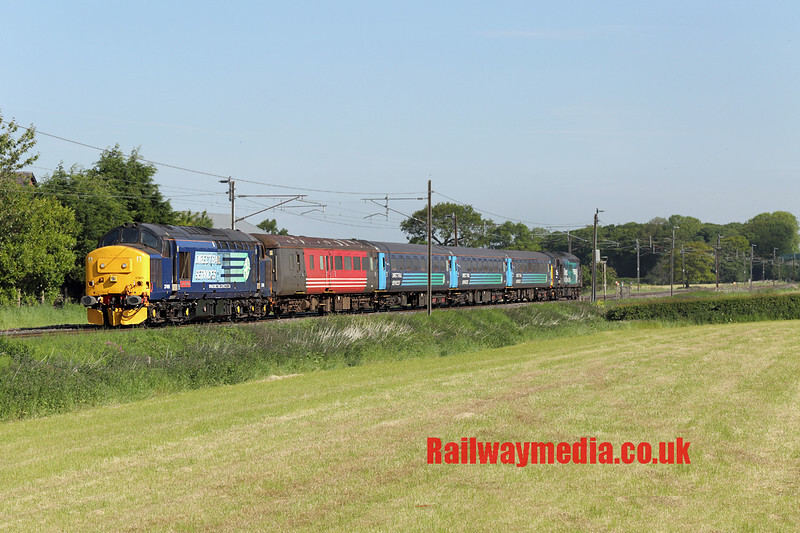 As promised, returning to the Cumbrian Coast, from May there was also a big development with the introduction of two loco-hauled diagrams Mondays to Saturdays. Coupled with the 319s operating out of Liverpool this enabled Northern to release enough DMUs to start the much delayed Manchester to Blackburn via Burnley service over the new curve at Todmorden. One of the class 37 diagrams is out all day starting with the 0546 Barrow to Carlisle it then shuttles between these two towns finishing at Carlisle at 2031. The other starts with the 0515 Carlisle to Preston, the 1004 to Barrow, then after 4 hours 'rest' the 1437 to Carlisle and return finishing at Barrow at 2029. These services have so far proved exceedingly popular with enthusiasts, helped by a regular cheap promotion in local papers for day tickets and of course the highly scenic nature of this line. Currently both services have been top and tailed by two engines although anytime soon one is expected to be operating with a former Anglia Driving Van Trailer at one end. With a week off work I took the opportunity myself to travel on the trains a few times, sometimes just for beer and other times for photography. I wasn't as fortunate with the weather as when I went to Brock one morning to see it (pictured above) but the scenery, good pubs along the route, and of course the sound of the class 37s working hard pulling away from the many station stops made up for that. 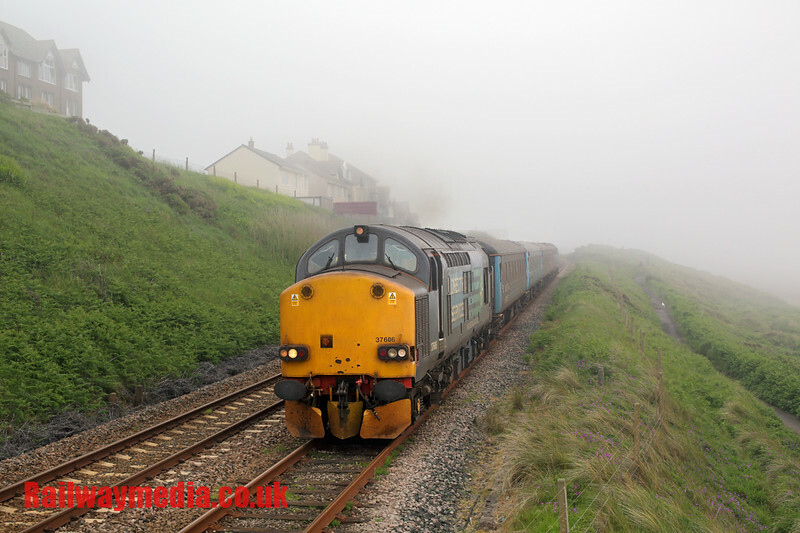 A good example of the weather is this picture of 37606 powering away from Seascale; there is actually some sea about 50 yards away on the right through the fog that had rolled in. A brief interlude between trips to Cumbria was a day in Edinburgh. 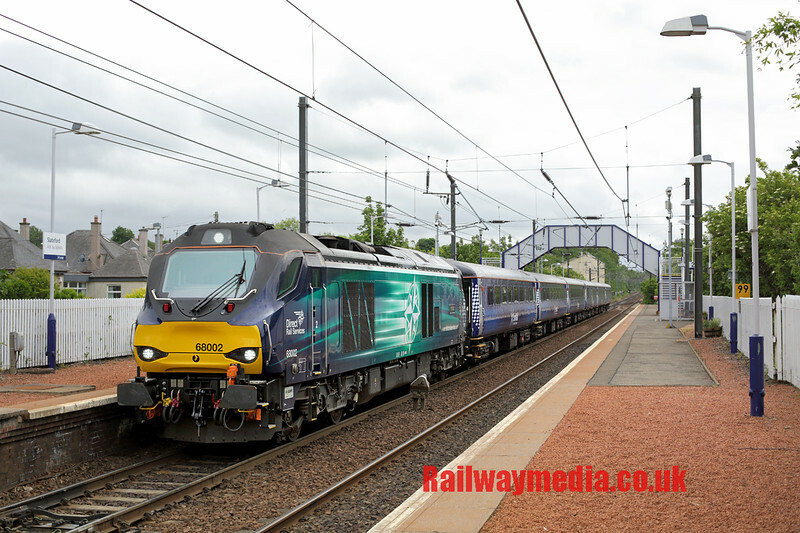 Generally there isn't an awful lot of interest railway-wise in the area unless you go out to the likes of Prestonpans when something special is due, but the one regular highlight is the two class 68s used on peak hour trains between Edinburgh and Fife. Like with Northern Rail these are used to release DMUs for elsewhere, the two evening trains leave Edinburgh at 1703 and 1719. Good shots of these can be had crossing the Forth Bridge. I didn't have time to go there but I did get to see them heading into Edinburgh empty as they both go to Motherwell in between the AM and PM journeys, so can be pictured returning. The light would usually be wrong at Slateford for these but on this day as it was dull it hardly mattered. It is just possible if the second of these is on time to hoof it down to Saughton about a mile away to see them both come back out of Edinburgh. There is a view from the new tram bridge although the trees are growing very quickly. HERE is a picture of the other set heading to Fife. Trying to avoid too many mentions of buses, apart from two Wetherspoons trips to Yorkshire that obviously also included a bit of bus photography, that pretty much concludes where I've been during May and June. As always all these pictures can be found either in my New Additions section or after about a month they get moved to the Trips of 2015 page. I will endeavour to write the next edition sooner rather than later, hopefully there will be plenty to describe from Northern Germany, Denmark and hopefully even Sweden. Thanks for taking the time to read this, please look out in a few weeks for the next blog. Bye for now. Thanks for making us a part of this blog.If you are looking for international freight forwarder,then you can contact gmfreight for more details.